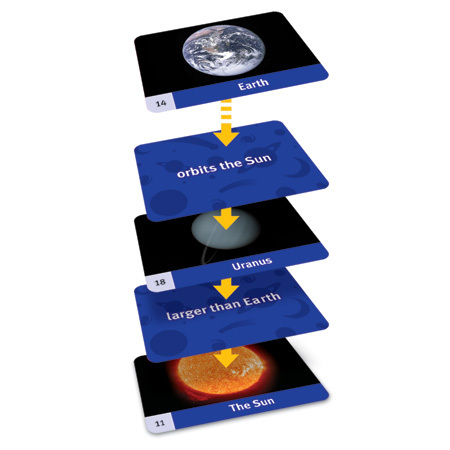 Explore Earth and space science topics with this simple, fast–paced card game. Match word and picture cards relating to the solar system, reinforcing key Earth and space science concepts and vocabulary. Covers a variety of core concepts and content, including planets, the sun, stars and constellations, galaxies and more. Engages students with vibrant real–life photos and key solar system facts. Reinforces vocabulary and classification skills. Includes a deck of 100 self–checking photo and word cards.